For the longest time, humidity never crossed my mind when it came to my guitars. I mainly play solid body Jaguars in a band and only ever pick up my low-end acoustic when I’m at home strumming on the couch. It wasn’t until I moved from a basement rehearsal space to a main floor space in the same building that I started noticing the effect that a lack of humidity was having on my guitars. It seemed like just a matter of days and suddenly my fret edges were sharp, my action was shifting every which-way and it was tough to keep either guitar in tune. 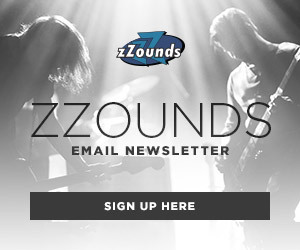 I had never experienced these types of changes, especially with a solid body electric guitar, so I instantly attributed it to the change in environment. Upon looking into it, I found that the changes I was experiencing can literally happen overnight, especially during a dry time of the year like the winter, which it currently was. Winter dryness can wreak havoc on guitars. Acoustics and hollow/semi-hollow electric guitars are the most susceptible, but like I said, even my beloved Jaguars were no match for the lack of humidity. 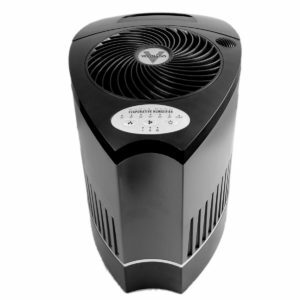 Most of the effects of low humidity are preventable with inexpensive humidifiers. Keeping one in the room or in your case can be the preventive measure needed to keep your guitar in top playing condition. When choosing how to properly humidify your guitars, it’s important to know exactly what humidity is. Humidity is essentially the amount of moisture in the air. We all knew that, right? Cool. The higher the moisture, the higher the humidity. The lower the moisture, the lower the humidity. We’re all on the same page. Now, just because your guitar needs some humidity doesn’t mean it needs ALL the humidity. We’re not talking Amazon rainforest levels here — just a healthy, consistent dose. A guitar can be over-humidified. When that happens, the wood can swell up and lose volume and tone. 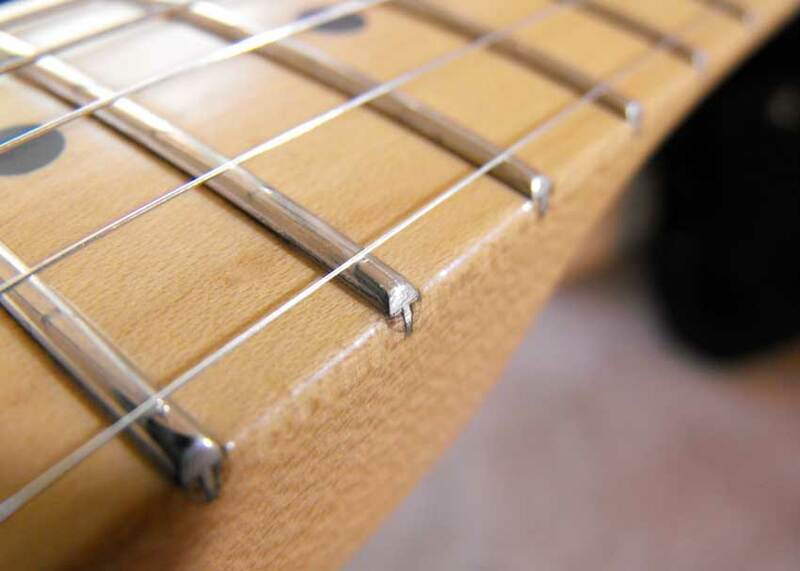 High humidity can also lead to discoloration in your finish, and in extreme cases it can make a great environment for mold to grow inside the crevices of your guitar. You can avoid over- or under-humidifying your guitar by maintaining a consistent humidity level with an instrument humidifier. There are plenty of different designs to choose from, including models that slip directly into your acoustic guitar’s soundhole, or others that permanently live in your electric guitar case. Whichever you choose, it will help immensely to keep your guitar properly humidified when it’s not being played. The Planet Waves Humidipak Automatic Humidification Control System is what I personally use to keep my guitars consistently humidified. 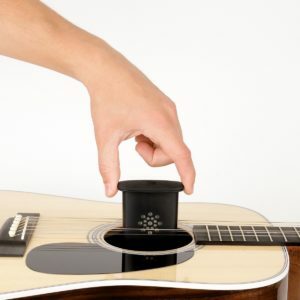 The patented humidification packs easily slip into your case — or into the soundhole of your acoustic guitar — and use a 2-way system to maintain 45% humidity level. 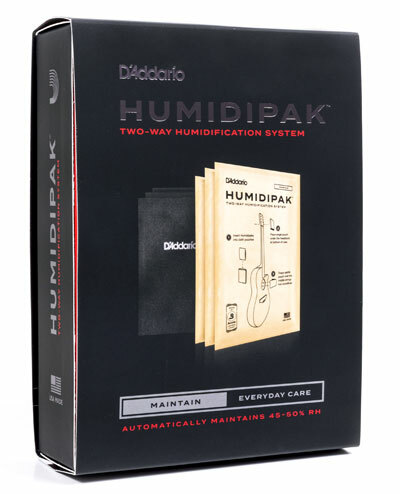 Planet Waves calls it a 2-way system because of the way the pack emits or absorbs moisture from the air to maintain a constant humidity level of 45% relative humidity. This system is inexpensive and is a great choice for touring musicians whose guitars are going to spend most of their time in cases getting from show to show. I tour quite a bit and can go from super humid climates to dry desert heat in a matter of one day sometimes, and the Humidipak does a great job at keeping the humidity inside my guitar cases stable. The only important thing to note is that you should return your guitar to its case shortly after playing so it spends a majority of its time in a consistently humidified environment. 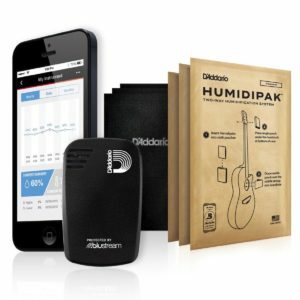 The D’Addario Humidikit Bundle is a bit more of an in-depth approach to guitar humidification.The system includes a D’Addario Humiditrak with Blustream Technology to provide a constant stream of temperature, humidity, and impact data directly to your smartphone via Bluetooth. This way, you can keep a constant eye on the state of your guitar, even if it’s behind you in a trailer going 70 mph down the interstate. 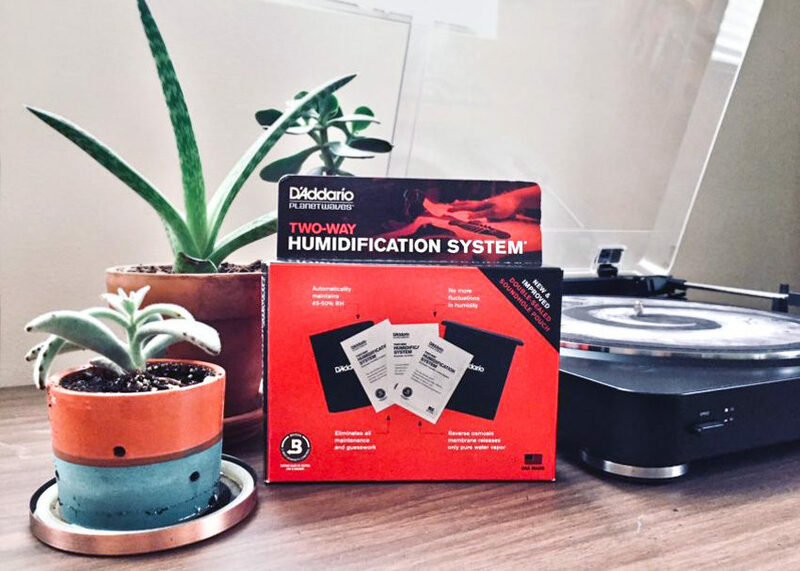 The Humidikit uses a similar technology to the Planet Waves Humidipak in that it either emits or absorbs moisture in order to keep the relative humidity at a stable level. The main difference here is that you have full control over what you want that level to be depending on the guitar you’re dealing with, or the environment you’re in. You won’t just be limited to 45% relative humidity at all times. If you’re specifically looking to keep your acoustic guitar humidified when it’s not in use, and don’t want to have to keep it in a case, the D’Addario GHP is a solid choice. Unlike the other humidification systems, the GHP does need to be filled periodically with water in order to work properly, due to its use of a hydrophilic sponge that holds and emits moisture, guarding against cracks, warped necks, and shrinkage. Suspended by the strings, the GHP releases moisture evenly and slowly inside your guitar, without touching the actual body of the guitar. The humidifier’s stopper allows you to check the sponge status without removing the unit and provides a tight seal when in place. You can also take the route of keeping your entire rehearsal space, room, etc. at a constant 45% relative humidity with the use of a consumer-grade room humidifier. You can find these at most home improvement and department stores — you might even already have one at your house. These humidifiers work great and will certainly do the trick if you leave your instruments out in the room and don’t take them to different environments too often. If you plan on traveling with your instrument or keeping it in its case for prolonged periods of time, I’d recommend going with one of the in-case options, or supplementing your use of a room humidifier by using an in-case humidifier when you travel. 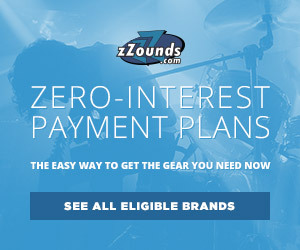 I'm a touring musician who daylights as a Product Merchandiser and Copywriter for all things guitar at zZounds. When I'm not working in Chicago or riding around in a van, you can find me tinkering with gear, hanging out with my dog, or retreating to the woods of my native Michigan. The Coolest Things we saw at NAMM 2018What is NAMM?